(in translation from Tadjik "poor man", "tramp"), 1936, 60 min The legendary film by Lev Kuleshov, an adaptation of the novel by Sadriddin Aini, which should have become the first Central Asian full-length feature film, but remained unfinished. 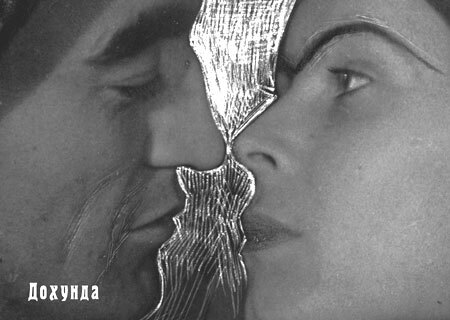 This work strongly influenced the creation of an original style of Central Asian cinematography during the Soviet period. It has been restored on the basis of the original directorís script illustrated with photos of the actors during rehearsals.